uch of conventional Wicca is organized into traditions. Since tradi tions, by definition, are beliefs and practices that are passed from one generation or group to another, a Wiccan tradition is a specific form of Wic-can practice that is passed to other persons, usually following initiation. Wiccan traditions are one of our religion's strongest survival mechanisms. Structure is necessary for every religion's survival. Without it, it will crumble in confusion and chaos. If every Wiccan constantly reinvented every aspect of Wicca (tools, ritual forms, deity concepts ), our religion as we know it would soon disappear. Lacking traditional forms and beliefs, it could hardly be passed on to others. As Solitary Wiccans, we generally don't practice a specific Wiccan tradition (unless we've been so trained and have left a coven). This presents us with great freedom. Some Solitary Wiccans create new rituals for each Sabbat and Esbat and practice a rather loose form of Wicca. However, many Solitaries feel the need to create their own traditions so that their religious practices and beliefs are supported by a solid foundation. Though such new traditions will evolve with time and experience, they do provide a valuable framework for the Solitary Wiccan's practices. If nothing else, it provides a firm rock to grasp in the often stormy sea of self-directed worship, and is a reassurance that the Wiccan is walking the right path. In a sense, a Wiccan tradition is a map pointing out a specific route to the Goddess. Part III of this book consists of a guide to creating a new Wiccan tradition, one perfectly suited for you. In writing it yourself, you can focus it toward your personal needs, and the end result may well be far more spiritually satisfying than any other Wiccan tradition. It's never necessary to take on this task. However, if you do decide to create your own tradition, this and the following chapters will present you with some ideas to help you get started. Why not? 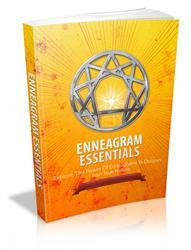 Few published Books of Shadows are complete, and virtually all are designed for group worship. Thus, none are ideally suited to the Solitary practitioner. This alone is reason enough to create your own Wiccan tradition. Additionally, the published sets of rituals may seem distant, or foreign, or they may not move you to fully involve yourself in Wicca. You also may have far too many questions regarding a specific Wiccan tradition, even one that has been published, to adequately perform its rites. Then again, a creative streak may be moving within you, searching for an outlet. Creating a Wiccan Tradition is a creative process, but it must be done with control. Right now, as you're reading this, grab a pen and several sheets of paper. The important part is to start actually putting thoughts into words on a page. These will eventually evolve into rituals, beliefs, rules and other things. A Wiccan tradition isn't misty or ethereal; it possesses specifics, and to create a Wiccan tradition you must first determine these specifics. Wicca isn't a spiritual free-for-all. A true Wiccan tradition must be based upon Wiccan conventions. Though there's plenty of room for personal touches, some things are essentially Wiccan and can't be discarded. These will be clearly pointed out. 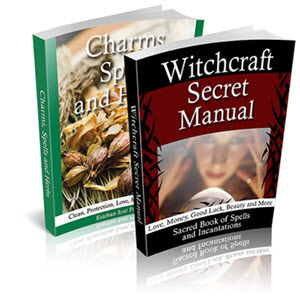 In the following chapters we'll be exploring one method of creating a Wiccan tradition. You're free to use it if it feels right; if it doesn't, don't. And if you don't wish to begin a new path, feel free not to. Creating your own Wiccan tradition is exciting and challenging. It's a process of defining not only your means of spiritual expression, but also the nature of your spirituality itself. Thus, it's a journey of self-discovery.